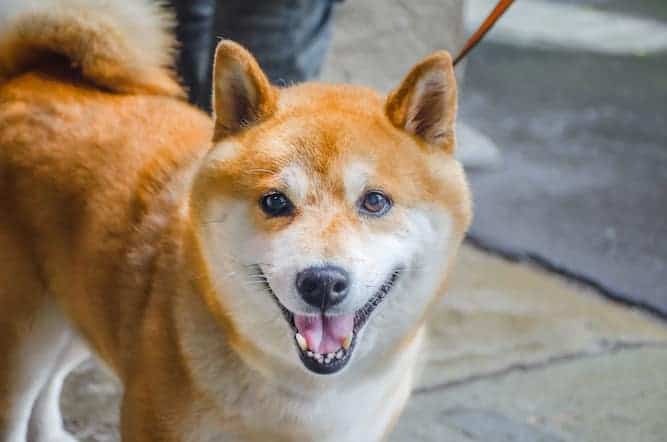 The keen Shiba Inu temperament has made the breed one of the most commonly misunderstood dog breeds.Many people choose to bring home a cute Shiba Inu on a whim because they are enamored with the idea that he’s a dog who looks like a fox. However, little do they know that this impulsiveness can have dire consequences, particularly when they fail to make the effort to learn more about the breed and how to deal with his temperament. Sadly, many Shiba Inus end up in shelters because their owners find them unmanageable. The survival instincts of undomesticated dogs are still very much ingrained in the Shiba Inu temperament today. Their quick reflexes dictate that you must always keep your Shiba on a leash because their intense prey drive pushes them to run after anything that catches their eye. In fact, this breed is known for being good escape artists – even with good fencing. Don’t let the charming Shiba Inu temperament fool you; he has a very strong personality. You must be okay with being a dominant pack leader to put the Shiba in its place within the hierarchy of the “pack”. Owning a Shiba demands your commitment to providing your pet with the intensive training and regular exercise he needs. Early socialization is also very important in order to raise a Shiba with good behavior and impeccable manners. Like cats, grooming is a favorite past time of the Shiba Inu. In fact, he spends a considerable portion of the day grooming himself. If there are other dogs in the household, you will also find your Shiba grooming them. Another trait they share with cats is being aloof and quite detached, thus you will find your pet undemanding of your attention much of the time. However, this does not mean they don’t like human company. They are just not as expressive and affectionate as, say, Golden Retrievers. Initially used as hunting dogs, the Shiba Inu temperament is fueled by a never-ending supply of pent-up energy. You need to harness this energy positively by giving your pet lots of activities to stimulate him. If not given enough exercise, the Shiba can become restless, and this can pave the way for the development of negative behavior, including digging holes, ripping sofas and chewing your shoes. The Shiba has an all-weather coat, meaning you can take him for a run or a walk in the middle of winter or even on a rainy day. And you should, because his daily walk is very important. 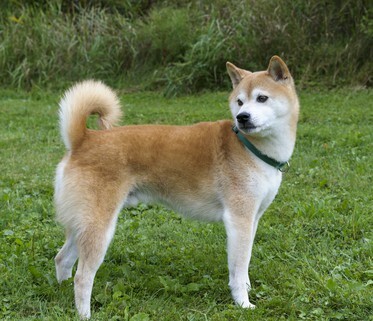 In fact, this breed has extraordinary endurance in that a Shiba can walk for hours without tiring. Shiba Inus are loyal and can make great watchdogs. However, they can also be extremely possessive of their food, toys, and territory. They can also become aggressive, so you need to keep a watchful eye when your Shiba is around other pets or small children. No challenge is too big for the Shiba Inu. With a “no retreat, no surrender” attitude, a Shiba will not hesitate to fight back when he perceives something or someone to be a threat. This aggressive behavior is one of the most common issues Shiba owners face. 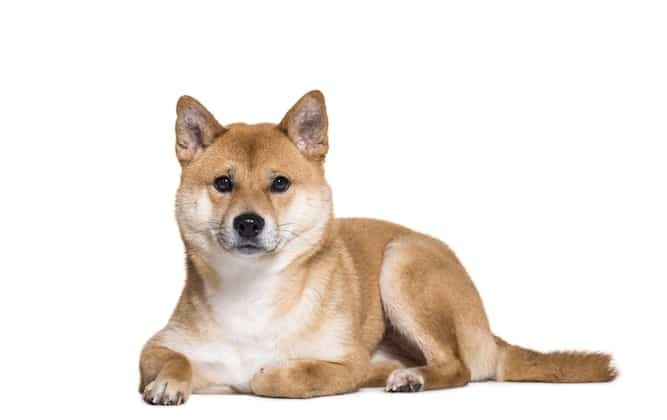 The Shiba Inu is a basal breed, which means humans bred him specifically for the traits we now know him to have, like his size, coat color, and behavior. 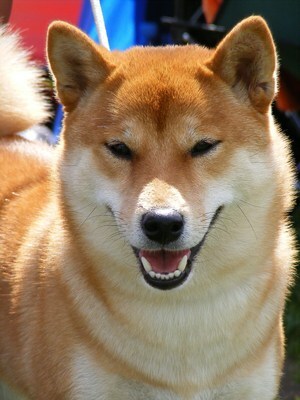 Breeders in Japan’s the Chūbu region created the Shiba Inu to hunt small game, like birds and rabbits. 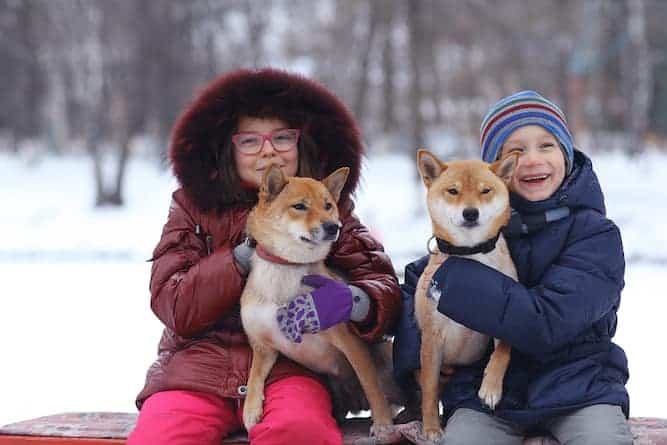 Despite efforts to keep the breed going, the Shiba almost went extinct during World War II, thanks to a food shortage and a distemper epidemic. 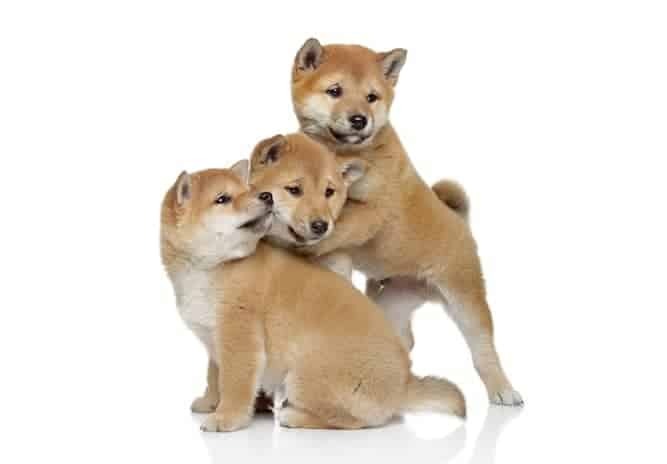 The Shibas we see today all hail from the remaining three bloodlines left after these issues finally resolved. The first Shiba came to the U.S. in 1954, when an armed service family brought him to the States. Ever wonder why he curls his tail up around his nose while he sleeps? It’s his way of blocking out the cold! Because he’s so friendly, he’s not the greatest at being a guard dog. Some think that because the Shiba is so much like a cat that he doesn’t bark. This is not true, though he doesn’t bark just to hear himself either. When a Shiba barks, something’s going on, so pay attention. Some Shibas love to dance! In fact, there’s a whole category of videos dedicated to Shibas dancing on the internet! Some Shibas also love to jump, so be sure to train yours out of this bad habit before he knocks you or a friend over. It may look cute, but it is a staple of bad behavior. Being fastidious about their appearance, the Shiba Inu does not like soiling his living space. Thus, many owners find that they can easily potty-train their Shibas as early as ten weeks old! Even in cold weather, they prefer to go out and do their thing outside and away from their living quarters. When it comes to training, the Shiba Inu possesses extraordinary intelligence and high training potential. However, they can be stubborn too, and quick to spot moments of weakness wherein they can test your patience to its limit. The earlier you start training your Shiba, the easier it will be for you to assert your status as the alpha of his pack. Consistency is very important during training, and you have to nip behavior problems in the bud before your Shiba thinks he can get away with anything. 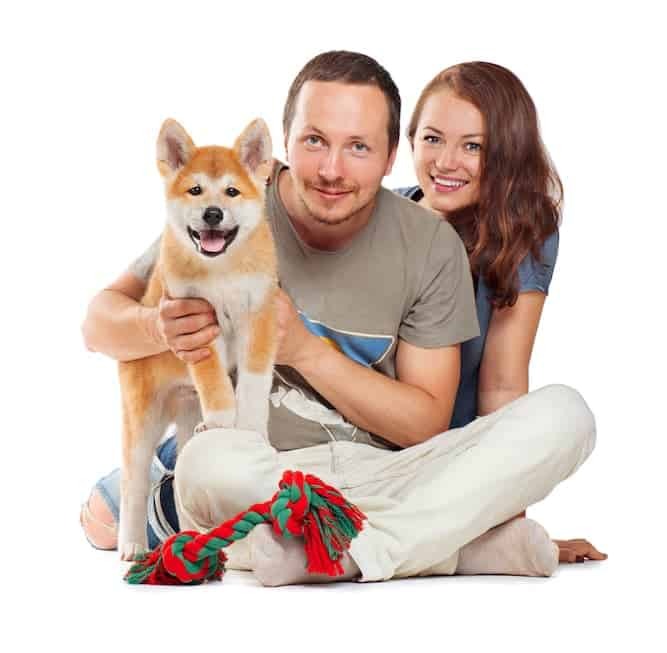 For help with training your Shiba Inu look at The Online Dog Trainer by Doggy Dan. Doggy Dan is an expert Dog Trainer based in New Zealand. His online resource contains Hundreds of Excellent Dog Training Videos that will take you step-by-step through the process of developing a healthy, happy well-behaved dog. Shedding? Oh, boy, do Shibas shed! You have your work cut out for you with this one, so if you’re not big into grooming, then the Shiba is definitely not for you. While Shibas technically have a shedding season twice a year, Shiba owners will joke that each of those seasons feels like it lasts six months at a time. What’s interesting about the Shiba is that he has a “long coat,” which means you technically don’t have to brush him. But you’re doing him a disservice if you don’t – not to mention your carpets and furniture. One way to cut your grooming time in half is to use a blow-dryer or even a shop-vac (!) in reverse. This will blow the dead hair out of his coat, rather than spending hours brushing him. He may not like the blower at first, but many Shibas learn to love how it feels. Give it a few tries, and if he still doesn’t like it, you can always bring him to a professional if the shedding becomes too much. 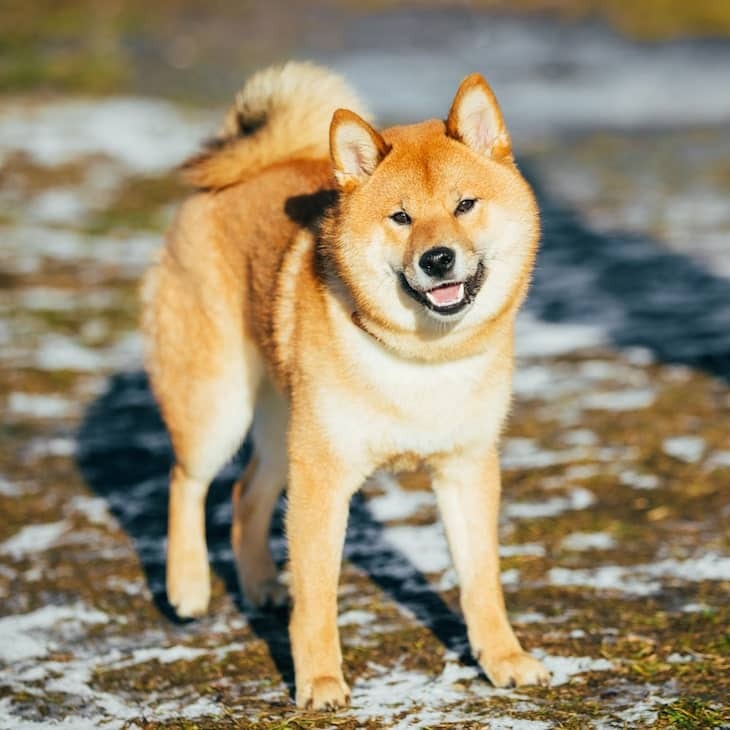 While most Shiba Inus are healthy, there are certain health issues you need to be aware of for this breed. The average weight for a Shiba is between 18 and 24 lbs. for males, and between 15 and 20 lbs. for females. As far as height goes, Shibas are between 13 and 17 inches tall, so they are a decent-sized dog. The Shiba Inu ‘s life expectancy is between 12 and 15 years. 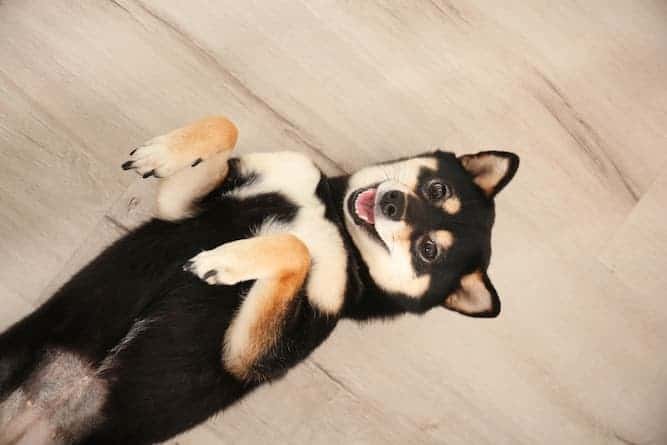 Hopefully, you have read the above information very carefully before deciding on whether you would like to add a Shiba Inu puppy to your family. If you have done so and you think you’re ready for one of these dogs, then you are probably wondering where you can get one. You can find a Shiba Inu for sale either from a breeder who specializes in Shibas, or even possibly through your local animal shelters. Fair warning: expect to spend way more on a Shiba Inu from a breeder, rather than on one you may stumble upon at the shelter. This is because breeders specialize in purebred dogs who you could technically show if you wanted to. This is even more of a reason why you need to be sure you’re getting what you pay for with a breeder. The average Shiba Inu price is between $1,400 and $2,200. But some Shiba Inu puppies can even cost as much as $3,500. Ironically, the popularity of a breed increases its price. You would think it would be lower because there are more dogs to choose from, but that is not the case. And the popularity of Shibas has skyrocketed over the course of the past 10 years. The more in demand these dogs are, the more breeders can get away with charging because money is no object if someone wants one of these dogs badly enough. If you would rather adopt a Shiba Inu puppy, you may be able to find one through a local rescue organization or adoption center. If you don’t find one on your first try, keep checking back. Shelter “stock” changes all the time, and you have to hit it just right to find the dog you’re looking for. Reasons why you may want to adopt is if you are looking for a mixed breed, or if you would rather not deal with the issues that can come from owning a puppy. Most dogs in shelters are either already trained by their former owners, or the shelter will train them to prepare them for homelife. This saves you a lot of time, frustration, chewed shoes, and soiled carpets. Shiba Inu breeders charge a lot for their pups. That’s why you must be sure that whoever you choose is reputable and has gotten his or her puppies their full health clearances. Fully inspect the breeder’s home when you arrive. The environment a dog lives in will tell you volumes about the kind of adult he may grow up to be. For instance, dogs raised with several other puppies may not be getting the attention they need. As a result, they may develop issues like food aggression and other behavioral problems. And you certainly don’t want to pay thousands of dollars for a dog who either has health issues or otherwise preventable behavior problems. Conclusion: Why the Shiba Inu? You must be sure that you know all you need to know about the Shiba Inu temperament before bringing him home. For instance, Shibas do not do well with any animal that tries to boss him around. So, if you have a cat for instance, as long as that cat respects the fact that the Shiba rules the roost, they’ll get along great. 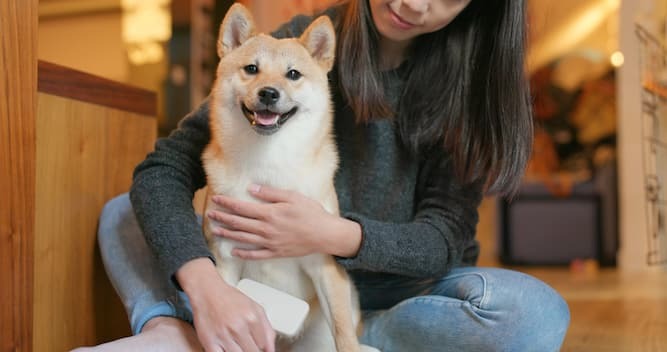 In a nutshell, the fearless Shiba Inu temperament can be a handful if you don’t go the extra mile to know more about the breed and understand their unique personality. Being a responsible Shiba owner will ensure that both you and your pet will enjoy years of camaraderie.